HP Pavilion 21.5-Inch IPS LED HDMI VGA Monitor with HP Pavilion Dual Monitor Stand by HP at Pacs BG. Hurry! Limited time offer. Offer valid only while supplies last. 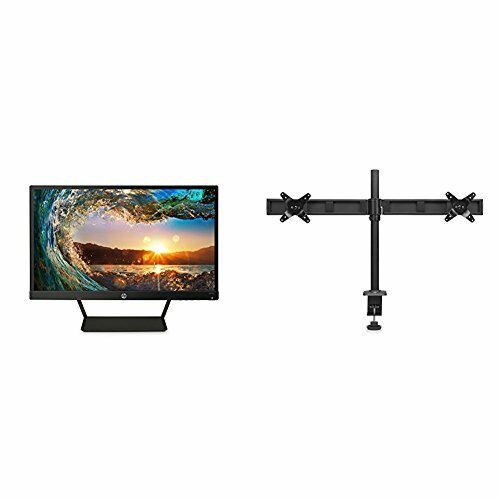 Compatible HP monitors that don't require brackets (have VESA holes on the monitor): VH240a, 22w, 24w, 27w. Compatible HP monitors that have specific VESA plates included in their cartons: ENVY 24, ENVY 27m, OMEN 24, OMEN 25, OMEN 27, 27b.